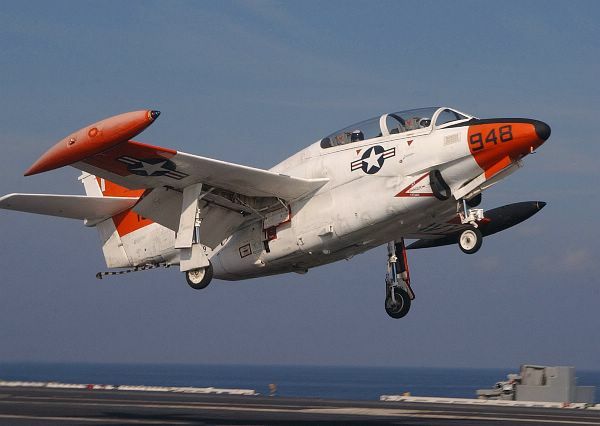 The T-2C Buceye is a training aircraft of the US Navy (USN) which is also capable to land and take off from aircraft carriers. The T-2C is used to train pilots of the USN, US Marine Corps and naval flight officers. It has 2 085-GE-4 turbojets engines which gives each a thrust of 2950 lbs.